The Strangest UFO Story Ever Told! 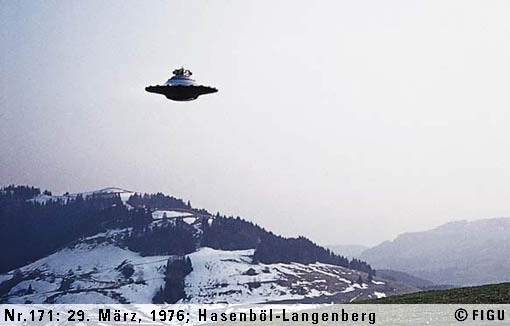 Billy Meier: a one-armed Swiss man, now approximately 73 years of age who is known to have detailed and documented purported contact with extraterrestrial humans for the past 68 years. To date: 21 documented assassination attempts have been made on his life. This is not just a story about UFO’s; this is the little-known chronicle comprising over 35 years of corroborated, authenticated prophecies and predictions known as The Contact Notes. This article attempts to neither question ones belief systems nor their religious/spiritual foundations. Simply judge the evidence provided as presented. I have supplied links for further investigation online at: http://sbintheknow.com where actual 8mm video footage, photographs, sound bytes and documents may be obtained. Photos and video, you say? First of all, please take into context that almost all of these photos, video and sound clips were taken in Switzerland during the time period of 1975 & 1978. This means that the film had to be DEVELOPED. The story itself is much bigger than a story about UFO’s and extraterrestrials, though. The story involves the ongoing and continuous flow of information given to Billy throughout the years. This information is then dictated by Billy and has been translated into numerous languages and compiled into Contact Notes. The Contact Notes have produced the most prophetically accurate, scientific and world-related seismograph ever known to man, beginning in 1975. Considering the recorded, copyrighted and human verified record of accuracy presented in the Contact Notes beginning in 1975, these chronicled and dated prophecies should be heeded. As a forewarning, in the 215th Contact, known as the Henoch Prophecies, special emphasis was placed on America and specifically the times we are currently in. There are literally thousands of Contact Notes with more being transcribed into English every year. Below, is a compilation of Contact Notes that have already been corroborated. The following prophecies have come to pass and have been validated. Again, this is only a miniscule portion of the thousands upon thousands of prophecies that have been passed onto Billy. Connection of A-bomb testing, explosions to ozone damage; high-frequency “elementary radiations” unknown to terrestrial scientists; damage to Earth’s rotation, magnetic disturbances, polar displacement; contribution of bromine gases to ozone damage; penetration of UV through holes, killing micro-organisms and leading to disruptions in food chain, genetic mutations and other long-term negative effects for humans and the planet. Corroborated: November 29, 1988, with report published by Lawrence Livermore National Laboratories announced this “new discovery”: “Atom Bomb Testing Tied to Ozone Depletion”. Corroborated: February 24, 1992, Los Angeles Times, “Ozone Hole Damages Food Chain”. Information given to Billy that Mt Chimborazo, Ecuador, is the highest mountain on Earth (above sea level), contrary to Meier’s belief that it was Mt Everest. Corroborated: June 1996 in Earth magazine, 21 years later. Additional information from the 115th Contact was accidentally given to lead investigator Col. Wendell Stevens, USAF (Ret. ), and shown by him to Maj. Rudolph Pestalozzi, USAF (Ret.) and Mr. O. Richard Norton, former director of the Flandreau Planetarium, Tucson, Arizona. Known as the Henoch (or Enoch) Prophecies, this contact contained a forewarning of the destruction of the World Trade Center (WTC) by terrorism, the series of worldwide wars that the US would subsequently launch, and military actions involving Russia, China, France, Germany, Spain, England, Scandinavia and many Third World and other countries. Corroborated: September 11, 2001, the WTC was destroyed; the United States has already invaded Afghanistan and Iraq as of the time of this writing. This contact contains startling information regarding technological developments such as hybrid warriors created by mixing human and pig DNA. People will have biochips attached to their nerve endings, and Meier warned of ominous bio chipping with links to Deep Space Platform satellites and supercomputers. Corroborated: Human–pig DNA experiments have begun in the last several years; people are starting to get “chipped”. Still speculative: Creation of half-human/half-machine beings, clones and androids; discoveries that conclusively confirm existence of previous human life on Mars; rectification of the “ageing” and “aggression” genes; warnings of deep-impact scenario, and need for a defense system for incoming objects. The above are a small handful of the corroborated prophecies relayed in the Contact Notes to Billy Meier. A very frightening account is given in the Henoch Prophecies and is deliberately not listed in chronological order, for a specific reason. The Contact Notes are still on going. Update: ITK spoke with Billy’s U.S. representative, Michael Horn, on 5-14-10. There are many more current Contact Notes listed on They Fly for your review.